Luxury watch brand Meccaniche Veneziane has introduced its ‘Arsenale’ range of watches, and here's all you need to know. 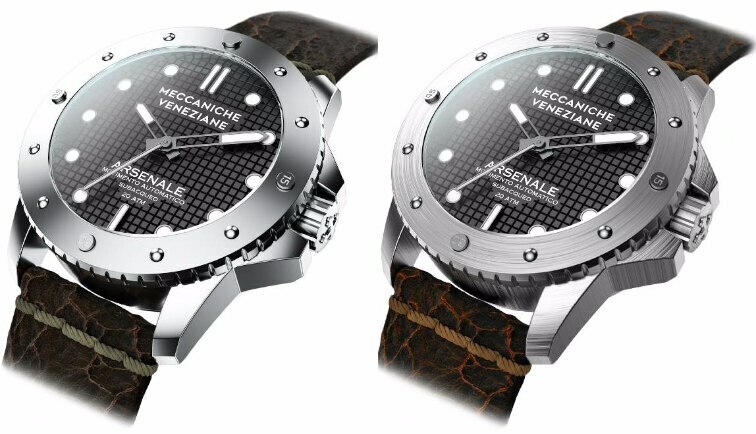 Italian luxury watch brand, Meccaniche Veneziane has introduced its ‘Arsenale’ range of watches inspired (name and design) by the Royal shipyard of the Serenissima Republic, which is known worldwide for the production of vessels and merchant ships. And that says a lot about their craftsmanship too. The finishing of the Arsenale 316L steel cases recall the metal processing employed in the construction of submarines and naval armaments, particularly in the twentieth century. The brand has launched 3 different variations of the watches. The Arsenale Ardesia and Arsenale Ardesia Cromo have a brushed and polished steel that reflects the techniques employed in the Arsenale of Venezia during the 20th century for the production of submarines and warships. On the other hand, Arsenale Ardesia PVD, consists of an aged PVD finish which recalls the metal processing of 17th-century armaments. The thing that stands out the most is that the edges of these watch are naturally scratched through a craft process which simulate ageing. And the bezel rivets pay tribute to the workmanship shown in the pressure gauges of submarines while the domed sapphire crystal recalls the portholes. Isn’t that extraordinary? These watches have a beautiful dial with diamond-cut hands and indices, and the dials incorporate the Swiss Luminova, which illuminates well, and makes it very easy for one to read the time all through the day. The dial is well-protected from scratches with a strong and robust dome sapphire glass, and the Swiss Made caliber movement 285 ensures high precision. And on the plus side, they are water resistant up to 200 meters. Need more reasons to invest in one? Meccaniche Veneziane entered the Indian market through an exclusive marketing and distribution partnership with Excedo Luxuria. And the brand will be retailed exclusively through Excedo Luxuria’s concept store in New Delhi and its online portal, ‘excedoluxuria.com’.